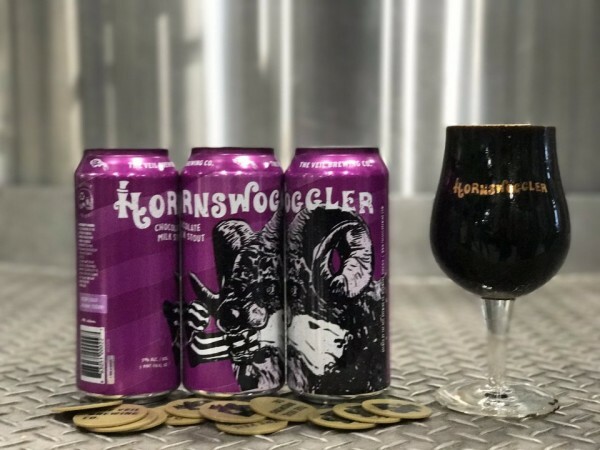 Virginia-based brewery the Veil Brewing Company has taken the dessert beer category to a whole new level with its innovative “Hornswoggler” brew, a a chocolate milk stout aged on hundreds of pounds of Oreo cookies that even has icing chunks in it. They say Oreos go best with milk, but the guys at the Veil Brewing Company apparently decided prove that beer works too. And they hit it out of the park. After launching the Oreo-flavored brew on January 24, the 64 cases available sold out almost instantly. The company then sold what little they had left as on-draft at the brewery, in Scott’s Addition, Richmond. That didn’t last very long either, and now the brewery is getting bombarded with questions about the next batch. “We took our 7% robust chocolate milk stout Hornswoggler and conditioned it on hundreds of pounds of Oreo cookies. 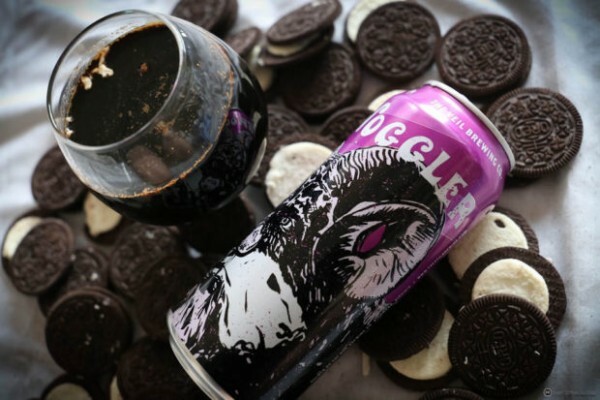 If you like Oreo cookies, this is a must try,” the Veil Brewing Company announced on Instagram. People obviously lost their minds, especially after seeing the bits of white Oreo icing floating in the glass of cookie-flavored milk stout. Due to the “residual fermentable sugars from the cookies “, Veil Brewing Company head brewer and co-founder Matt Tarpey recommends keeping the cans of Hornswoggler Oreo beer as cold as possible, and consuming it as fresh as possible “for the most intense Oreo character possible”. If you’re not one of the lucky few who got to try the first batch of this unique beer, it’s unclear if you’ll ever get the chance to follow Tarpey’s instructions, because the brewery has yet to announce a second batch. In the meantime, can I tempt you with some garlic-flavored beer, or some beer-flavored jam?